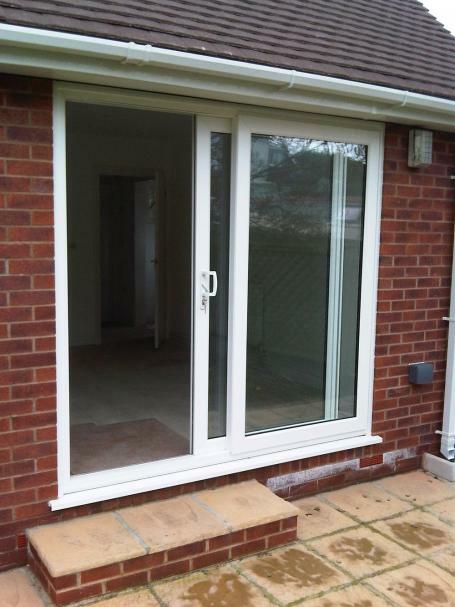 Our PVCu Patio doors are designed to enhance any room, balcony or conservatory. Whether traditional or contemporary, town or country, Patio doors suit every property. The elegant styling allows you to enjoy your garden all year round from the comfort of your home. Select from a range of finishes from white, light oak or rosewood for a natural wood appearance or even a combination of white one side and with woodgrain on the other, the choice is yours. The 28mm sealed glazed units are fixed with internal beads for enhanced security along with a multipoint claw locking system and 'Anti-Theft' Blocks that ensures the door cannot be lifted off from the outside. You can rest assured that our PVCu Sliding Patio doors have been developed and intensively tested under strict quality control standards. Once installed in your home, they will give high performance with minimum maintenance for many years to come.